Smoking is one of the hardest habits to kick. This is because we are often both physiologically and psychologically addicted to nicotine and the action of smoking itself. We’ve all been down that road before – We manage to “quit” for a few days, maybe even a few weeks or months… before finally giving in to the craving of ‘just one’ cigarette. And suddenly, we are back to smoking again. You see, to stop smoking is easy. The difficult part is not to start again. That’s where most of us who wish to stop smoking fail. Sooner or later, we’ll crave for ‘just one more’, and slip back into the habit. Are you finding it hard to stop smoking for good? Do you often crave for a cigarette even after you’ve made a decision to quit? Have you ever wished you could kick the craving and never think about having another cigarette again? Have you often wanted to stop having the bad odor, discolored teeth and the dry throat that smoking gives you? Thankfully, with today’s advanced Brainwave technology, we are now able to align our desires with the brainwaves that we emit, effectively manifesting our goals into reality through our thoughts and actions that follow. By aligning our brainwaves with the desire to never crave another cigarette, we can bring about the positive change that we’re looking for in our lives. We can finally quit smoking for good, and never crave for another cigarette… ever! 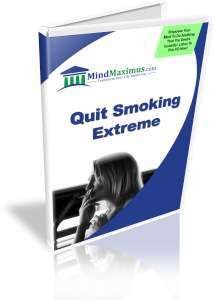 No reviews on F03 Quit Smoking Extreme so far.